Lone Star Bavarian, is an independent, local, and family owned BMW, Mercedes and Mini service facility located inFort Worth, Texas. Lone Star Bavarian is owned by Trent and Patricia Cole, who prides themselves on providing quality service and parts. Our service technicians are factory trained seasoned specialist in BMW, Mercedes and Mini automobiles, and our customer friendly shop will make you feel like you are at home. 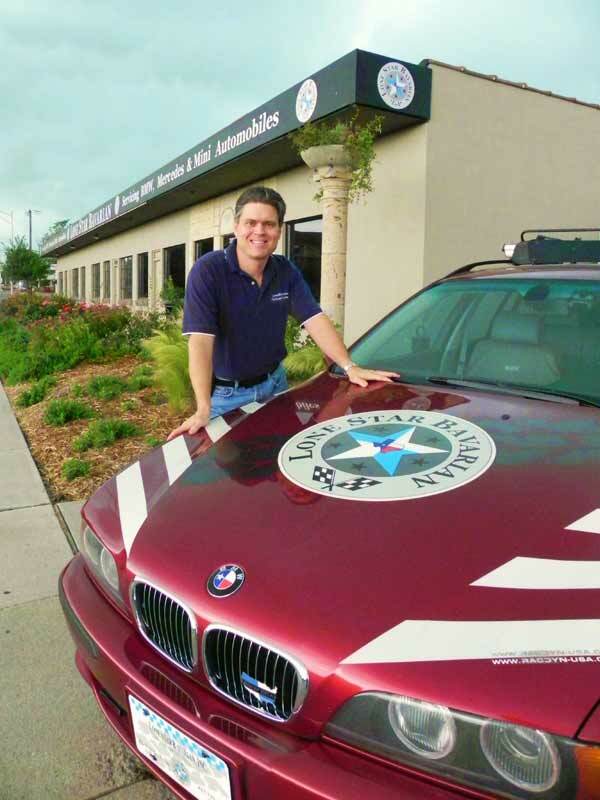 Lone Star Bavarian, Inc. also sells pre-owned BMW automobiles and offers merchandise to the BMW enthusiast. Take a few minutes to browse our site and let us know if there is anything we can do for you. You can find us at www.lonestarbavarian.com.